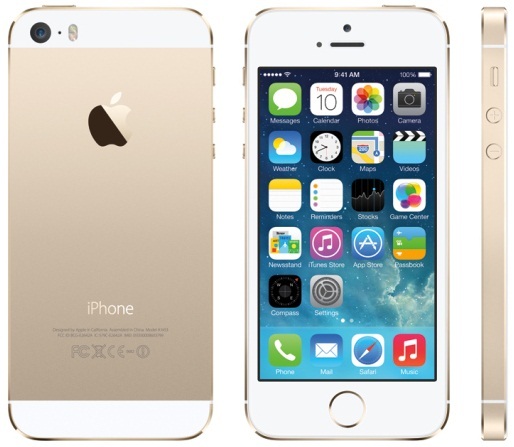 Apple iPhone 5S has already been released with most impressive features and specifications of its kind which makes its a true Smartphone of today's digital technology world, features and specs like Apple A7 chip, the M7 motion co-processor, iOS 7 Firmware and Apple Touch ID support is a unique feature of iPhone 5S device. So let’s find out if other smartphone brands like Nokia, Samsung, HTC, Sony, LG etc. are competitive enough to beat iPhone 5S in sometime near future. We have made an Infographic based on Comparison of iPhone 5S, HTC One, Sony Xperia Z, Samsung Galaxy S4 and LG G2 Specs and Features. No doubt on ability and success of iPhone 5S because it has got potential to beat its competitors in Smartphone market but success of any product is mainly depends on how consumer welcomes the new product and how it’s different from other available products of its kind. So if you're thinking to purchase any new Smartphone device amongst iPhone 5S vs. HTC One vs. Sony Xperia Z vs. Samsung Galaxy S4 vs. LG G2 than following Infographic will surely help you in your purchasing. 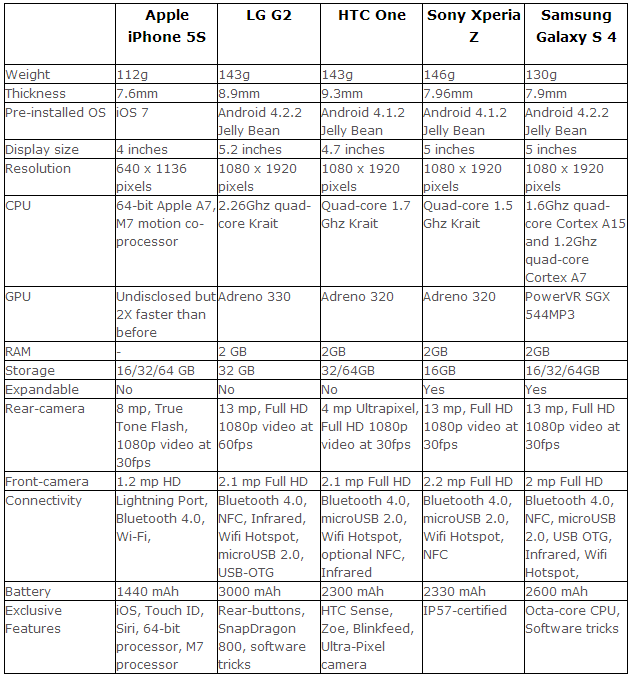 Let's check-out the Comparison Chart of iPhone 5S, HTC One, Sony Xperia Z, Samsung Galaxy S4 and LG G2 Specs and Features exclusively available for our readers.